Тип урока: совершенствование лексических навыков по теме “Friends and Friendship” на уровне свободного высказывания в виде монологической и диалогической речи. Урок комплексного применения знаний учащихся, целью которого является усвоение умений учащихся самостоятельно применять знания, умения и навыки осуществлять их перенос в новых условиях. В ходе выполнения заданий проверяется усвоенный материал, на основе которого идет осмысление нового. Урок построен в соответствии с программными требованиями. Основной целью обучения иностранному языку является овладение иноязычной культурой через основные виды речевой деятельности. В основу построения данного урока положен коммуникативный метод, наилучшим образом способствующий реализации главной задачи обучения: развитие речевых умений и навыков учащихся. образовательная: расширение кругозора учащихся, знакомство с современной английской поэзией на тему «Дружба»; с творчеством группы «Queen». воспитательная: воспитание и формирование дружеских отношений в ученическом коллективе, воздействие на эмоциональную и духовную сферу учащихся посредством музыки и поэзии на английском языке. воспитывать чувство доброты, поддержки, взаимопомощи. Оборудование: компьютер, проектор, экран, CD диск с учебным материалом, CD c песней «Friends will be friends» и «Smile». Hurry up! Don’t be late! Teacher: Different people have different temper. Everybody has different mood. Let’s see, how you are now. Take your “faces” and if you feel well, great — draw a smile; if you feel bad, you are sad and unhappy, draw a sad face. Teacher: These are my helpers. They’ll help me to give a smile face for every correct answer. We’ve got a magic box with “happy faces”. We’ll count all your faces at the end of the lesson and you’11 get a mark. I see you are in a good mood. I am sure you are full of energy and ready to work. What are we going to talk today about? And first Let’s sing a song! And it'll return to you more than once. And a friendship begins with a smile. Yes of course! This is my favourite child’s song. How is it called? It is A smile. This song is about friends and friendship. T: You are quite right! 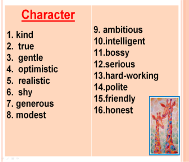 Today we are going to talk about friends and friendship, we are going to discuss what kind of friends we are. We are going to find out if it is eazy to be a good friend. Let us make a circle and wish each other excellent work at the lesson. Good luck to you. Best of luck! Believe in yourself and good things will happen to you. Ни пуха ни пера! — Break a leg! Учащиеся становятся в «круг радости», желают себе и другим учащимся успеха, хороших знаний, активной работы на уроке. T: Do you like sweets? I give you some of sweets. They are blue, yellow, red, orange and green. Choose your favourite colour one! Those who has green, blue, purple colours your are the first team. The team of earth, power and life. Other pupils are the second team. The team of laugh, health and love. Green is the sign of life and of hope. Yellow brings laughter and warmth into the world. Orange is the colour of health and strength. Red is the colour of love, heart and the red rose. When it rains, each of you will stretch across the sky in a great bow of color as a reminder that they all live in peace. The Rainbow is a sign of hope and friendship for today and tomorrow." -Everybody wants to have a friend. T: Who knows what the words “friend” and “friendship” mean? Look at the screen and tell me please the definitions. Friend – someone you know well and like, but who is not a member of your family. Listen to the poem” Friend”. Choose the word combinations to say What we can do with our friend “Friend”. With friend you have a lot of fun. A friend will never let you down. And he will always understand. He’ll be with you through thick and thin. That is a fair-weather friend. As you know there are two kinds of friends. As for me I am true and polite. What about you? T: You are so clever that you surprise me so much. It’s so nice to see your consideration. Do the questionnaire and test youself to find out if it is eazy to be a good friend. 1.Your friend wants to borrow your new computer game but you don’twant to give your CD to anyone.What do you say? a)Sorry ,but I don’t like to give my CDs to anyone. c) Buy your own CD. c) You are at home and feel tired. c) explain that you’re tired and invite him to come to your place. b) explain that you’re busy but in an hour ot two you’ll visit him. c) make an excuse and explain that you don’t like when someone interrupts you in a work that is important to you. 6-8 You’re real friend. You are kind and helpful. 3-5 You can be a good friend, but try to be less selfish. 0-2 Oh no! You’re too selfish! If you want tohave a real friend you should be more helpful and kind to others. У меня много хороших друзей. Nick has a good appearance. He is well-built, attractive and open-minded. Эти студенты обладают чувством юмора, они всегда веселы. The students have a sense of humor. They are always happy. У меня только один друг. I have just one friend. Мой лучший друг старше на 2 года. My best friend is 2 years elder. Masha is a very friendly person. There are some English proverbs.Your home task was to find some proverbs about friendship and friends. Let`s give the Russian equivalent to these proverbs in the screen. Listen to the text and after my reading do the task. There are some sentences to the text. If the sentence is suitable show me a red card. And if the sentence isn't pass to the text show me a blue card. I have a lot of friends. They are people who I can have great fun with. When I am in trouble they're always there to cheer me up. Let's take Jack, for example. He's the one who I can turn to when I have problems at home. I can talk all my problems through with him. He's supportive and can keep secrets. It's important, isn't it? And Jane? She's so brainy! I always turn to her when I have problems with maths. Jessica is great at working on the computer. She teaches me how to work, too. She's so kind and considerate. We have a lot of similar interests with Mike. And besides Mike is the only one I can play football with! Each time we all get together we have a good laugh. Sometimes we have arguments but we make up (миримся) quickly. We are never bored. You have a card write down about friends. -Now we are ready to speak about our real friends, our best friends. I think________is a true friend. And now retell me about your best friend. I’m very lucky to be friendly with many of the young people of my age. And one of them is my best friend. Her name is Ira. Ira is a girl of 14 years of age. She is pretty, blond, slender with big blue eyes, long, thick lashes. She has got a fascinating smile. She is rather tall. Ira is sociable and friendly with delightful sense of humor. She mixes very well with other young people and feels at home everywhere . I have a very good friend. His (her) name is ... Friends are very important in our life. I think one cannot live without friends. The most important thing for being good friends, to my mind, is to be ready to help one another in any situation, nevertheless how difficult it is, to support one another and to solve all the problems together. And never mind, that the friends may have different interests and hobbies, different likes and dislikes. They say that the friend in need is a friend indeed. I think it is really so. Now I am going to give you a recipe of friendship.! 8) a glass of love. Our lesson is coming to its end. Today we’ve learned to speak about friend and friendship. How do you feel now? Show me your “faces”. I`m sure we had a very interesting lesson today. And you`ll have a real friends but not an unreliable friend. My dear I wish you have real friends What dou you wish?